In the latest CNN Special Report, Woman of Mystery: Melania Trump, airing Friday, April 19 at 10 pm ET, CNN’s White House Reporter Kate Bennett lands rare access inside the East Wing to explore who Melania Trump really is, through those who know her best. Melania relishes her privacy, but the First Lady’s relative absence from the public eye has led to very different narratives about who she is and what she does. With far fewer events, official trips and appearances than her predecessors, Melania has become an enigmatic member of her husband’s orbit – mysterious, controversial, and wary of the media. As private as she is, Melania wields influence, as she proved in 2018 when she made an unprecedented public move against a top White House official. From the controversial jacket, to her launch of “Be Best,” and her role as a mother, boss, friend, and wife – Melania’s tenure as First Lady has stirred more questions than answers. Bennett sits down with White House observers and staff, including an exclusive sit-down interview with Stephanie Grisham, Deputy Chief of Staff of Communications for the First Lady, to get to the bottom of what Melania’s life is like day-to-day in the East Wing, what she is doing to push her official platform, and why this is a First Lady whose elusive nature is possibly hiding a far more independent agenda than those who have come before her in the same role. “Woman of Mystery: Melania Trump” also includes interviews with The New York Times’ Frank Bruni, Pulitzer Prize-Winning Washington Post Fashion Critic Robin Givhan, Author, and Historian Kate Andersen Brower, and Former White House Social Secretary Jeremy Bernard. This report goes to the heart of the most compelling question: Who is Melania Trump? Accompanying articles and videos from the special report will be available at CNNPolitics.com. 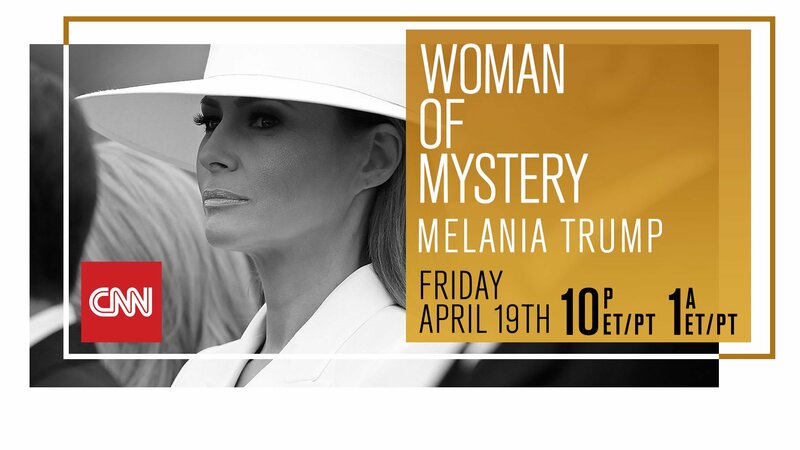 Woman of Mystery: Melania Trump will stream live for subscribers on April 19 via CNNgo (at CNN.com/go and via CNNgo apps for Apple TV, Roku, Amazon Fire, Chromecast, Samsung Smart TV and Android TV) and on the CNN mobile apps for iOS and Android. The special will also be available the day after the broadcast premieres on demand via cable/satellite systems, CNNgo platforms and CNN mobile apps. CNN Special Report is the award-winning, in-house documentary unit focusing on in-depth and investigative reporting of major issues and events and the powerful human interest stories that reflect our times.